The anticipation of a root canal procedure can be nerve-racking for a lot of men and women. 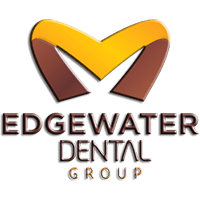 A root canal doesn’t have to be a stressful, uncomfortable experience when you visit the skilled dental team at Edgewater Dental Group. This accomplished dental group offers competitively priced, painless root canals on a daily basis for patients from Chicago, Edgewater, Rodgers Park, and Andersonville, Illinois. If you're nervous about having a root canal, book an appointment over the phone or online. Edgewater Dental Group's professional team is ready to soothe your worries. A root canal is a dental procedure that is meant to relieve pain and save your tooth. If your tooth becomes severely infected from inside, one of the experienced dentists at Edgewater Dental Group removes the bacteria and any dying or dead tissue. This allows them to protect your tooth and take away your pain. How can the root of a tooth become infected? Tissue and roots inside of your teeth can get infected with bacteria due to injury to the tooth or from a cavity that remains untreated for too long. If you don’t visit the dentist, the infected tissue may spread into the root or pulp of the tooth. If the infection develops any further, this can lead to many other issues, so make sure you seek help. Your highly trained dentist at Edgewater Dental Group can usually fix your tooth within one or two visits. First, it may be necessary to take an X-ray to determine the degree of harm to the tooth requiring the root canal. Your dentist at Edgewater Dental Group uses a needle to numb the region, making sure you don't feel anything during the procedure. Sometimes they set a small sheet of rubber, or dental dam, around the tooth to protect it and keep it clean during the procedure. After anesthesia is applied, your dentist makes a small incision in your tooth to reach the diseased area within the root. Next, your dentist uses small files to remove the damaged and diseased pulp and irrigates the area with water to wash away any debris. Once all the infected material is removed, your dentist either seals the tooth or puts in a temporary filling to protect your tooth until you come back for a permanent crown. If you have any signs or symptoms of a tooth infection, call Edgewater Dental Group or schedule a consultation online.